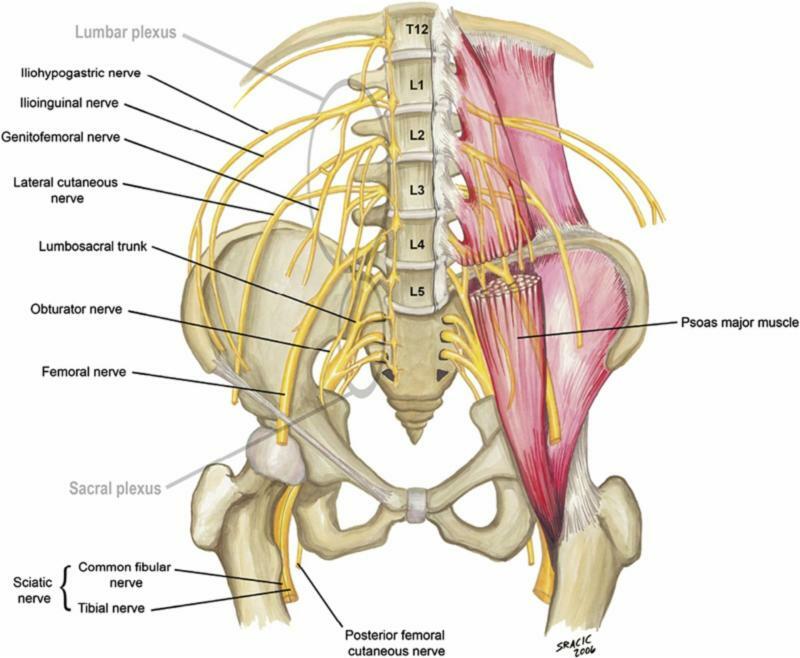 The sacral plexus is known as the plexus of the lower limb. It is comprised of lumbosacral outflow from nerve roots L4 to S4. More specifically, it is formed from nerve fibers from the anterior and posterior divisions of the anterior rami of spinal nerves L4 and L5, which cross the arcuate line anteroinferiorly to meet similar fibers from S1... Diagram showing the course of fibers in the dorsal column. The fasciculus gracilis exists at all levels of the spinal cord and contains long ascending fibers from the lower limbs (shown in red). 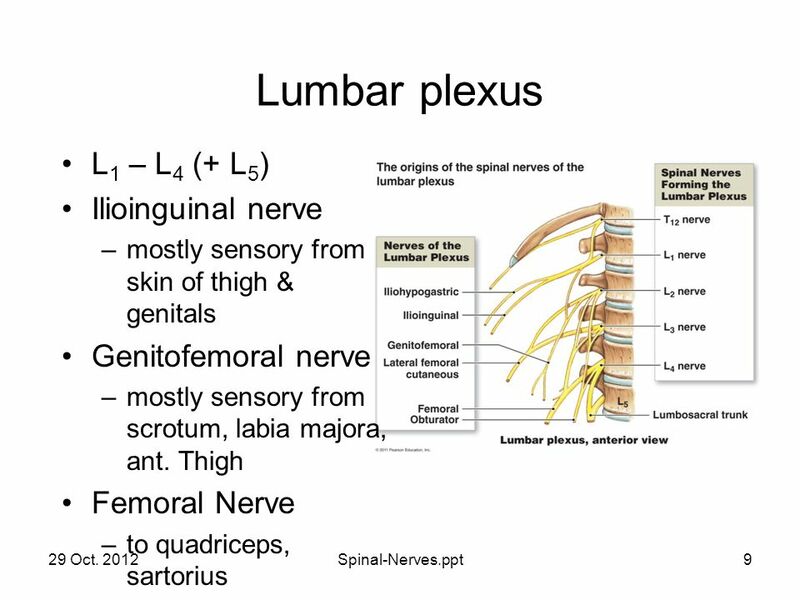 The major nerves of the lumbosacral plexus and their function are given in Table 12.4. There are about twice as many sensory fibers than motor fibers in the lumbar roots. When the anterior root is irritated, pain is felt in the muscles supplied and often becomes self-perpetuating from the focal spasm produced.